In the late 1940s and 1950s Gloria Grahame was a big name Hollywood actress, known for the likes of The Big Heat (1953) and Oklahoma! (1955), as well as winning an Oscar for The Bad and the Beautiful (1952). However, her star power soon faltered. When it was first announced that a sequel to Blade Runner was in the works, it seemed like a bad idea. Ridley Scott and Harrison Ford are on a bit of a roll revisiting their greatest hits, following Scott’s Alien Prequels and Ford’s return to Indiana Jones and Star Wars. 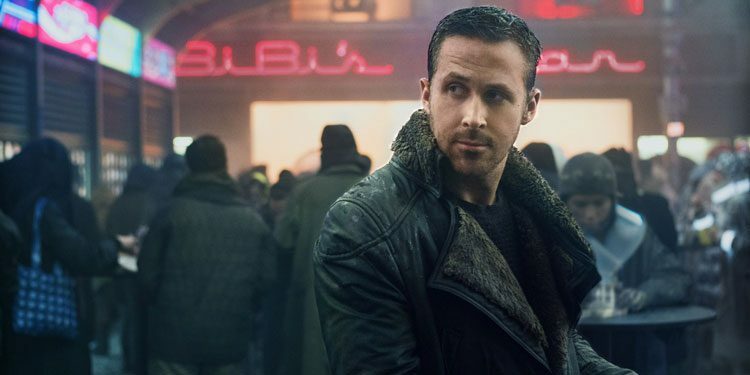 However, Blade Runner was such a singular movie – and one so far removed from the modern blockbuster – that it seemed a wholly bizarre idea to now be making a sequel. 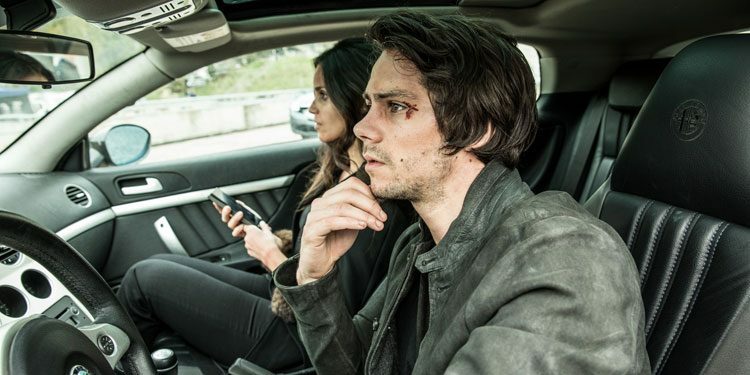 Mitch Rapp (Dylan O’Brien) is just a normal guy until his world is turned upside down when terrorists storm a beach he’s on, shooting him and kill his fiancée. After that he becomes obsessed with hunting down the bad guys and making them pay. Initially he tries to do this by himself, until he’s pulled into a CIA programme and trained by Stan Hurley (Michael Keaton) to be able to go into the field and take the terrorists down. What appears to have brought him back wasn’t just the story and script, but that they managed to find a way to essentially cut out the usual mainstream film machine by pre-selling foreign distribution and TV/streaming rights and then releasing the movie in the US himself. You also have to wonder whether he was intrigued by the premise of the movie. Soderbergh’s most successful films are the Ocean’s movie, where everything is impossibly glossy, the people – both the criminals and the marks – are suave, sophisticated and wealthy. With Logan Lucky he returns to the world of the heist, but here the criminals are blue collar Southerners, the type of people the movies usually dismiss and wouldn’t treat as being smart enough to pull off this type of thing. The film centres around Jimmy Logan (Channing Tatum), who gets laid off from his construction job at the Charlotte Motor Speedway, just as he discovers his ex-wife (Katie Holmes) wants to move out of state with him daughter. To help pay for the court case, Jimmy enlists his Iraq War veteran brother, Clyde (Adam Driver), to help him rob the Speedway track during a major NASCAR event, using their knowledge of the systems to help them pull it off. They need some help though, including their sister Mellie (Riley Keough), and the Bang brothers, the dim-witted Sam and Fish (Brian Gleeson and Jack Quaid), and the smarter and more useful, Joe (Daniel Craig). There’s a problem with that though, as Joe is already in prison, so they’ll need to get him out before they can use his skills, and hopefully get him back in again before anyone notices. However, some people think the Logan family is cursed – a curse that has already cost Jimmy his promising football career and Clyde one of his arms in Iraq – which isn’t exactly something you want hanging over you when you’re planning a high stakes heist. Despite its very different setting, the movie has more in common with the Ocean’s movies than it might first appear. 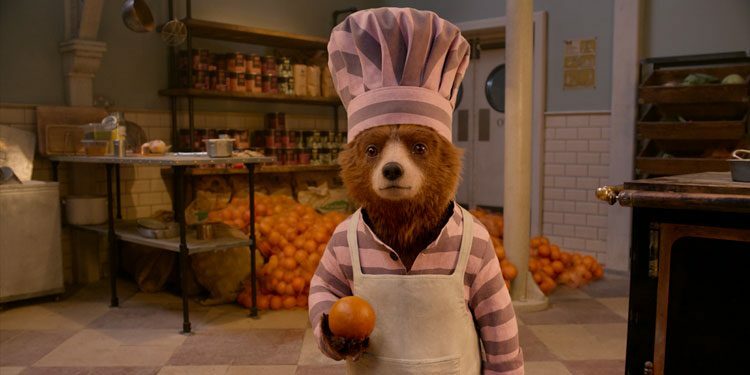 It’s a film that’s fun, very slickly made, move at a quick pace and is often pretty funny, but ultimately it doesn’t really add up to an awful lot. There’s nothing wrong with a movie that’s just a fun diversion, but there are times when Logan Lucky appears to be striving and failing to achieve more. Also similar to Ocean’s, it’s aided by a cast that appears to be having a really good time. Channing Tatum may wear more clothes than he did last time he worked with Soderbergh on Magic Mike, but he relishes the role of Jimmy, bringing a flare for understated comedy and a great ability to act as a central pivot around which the other characters rotate. Similarly, Adam Driver shows a lighter side than many will have seen from him before, although it’s Daniel Craig who makes the biggest impact as the bleach-blond, unpredictable and very entertaining Joe Bang. They all help keep things rolling along in entertaining fashion. There are moments when the film gets very close to seeming like it’s making fun of its uneducated, hillbilly characters, and indeed with different actors and another director the whole thing could have been horrifically insulting. Tatum and co. ensure that even at moments when it’s close to stereotyping, the characters retain a sense of dignity and, despite their criminal dealings, a sense of decency. By the end you’ll have had a good time, but that’s about it. Sometimes though, that’s all you need. Overall Verdict: A fun and very entertaining heist movie, that may not have much point to it, but entertains thanks to a good cast and smart direction.